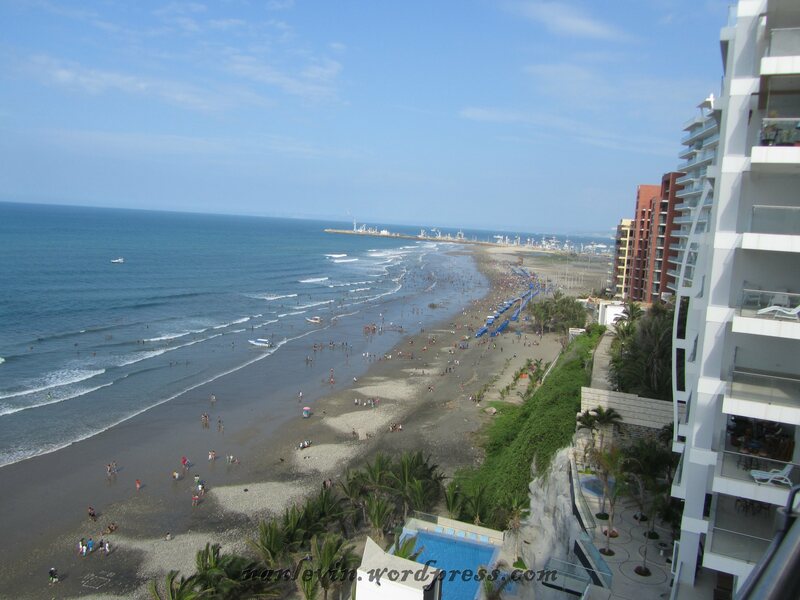 When we last visited Manta and on earlier trips we stayed at the Oro Verde Hotel and really fell in love with the area. So when we made the decision to take an extended vacation to Manta we wanted a place on the beach but in the Murcielago area. We found a wonderful Realtor Elena of MantaHome – she showed us this lovely apartment on the 5th floor of a small building and we were hooked. We moved in on the 15th of January and have been exploring old haunts as well as finding new places to visit. One of our favorite walks takes us to the malecon where you can enjoy a great lunch or dinner, walk on the beach at all times of the day or night (this area has a police substation and constant police patrols for your peace of mind). The malecon has kiosks where you can buy many items including clay figurines, books in Spanish, hand-made earrings, clothes, hats and even get a refreshing agua de coco as well as our favorite coffee Cafe de Pacoche from local family Eunice Jacome and her son Diego. This is where we discovered this exceptional coffee. When Joe and I have traveled in the past and stayed in hotels, we end up longing for a bit more, so having a fully furnished apartment works so much better for us. I do love a fancy hotel but after just a few days the routine of leaving the room for breakfast, lunch and dinner along with allowing the staff cleaning time starts to get on my nerves. Here if we decide not to leave the condo at all we can do that easily. Being in a bigger city allows for easy access to taxis. more options for dining and much more entertainment available. It’s just a nice change of pace from the small town for a bit. This is the view from our balcony. 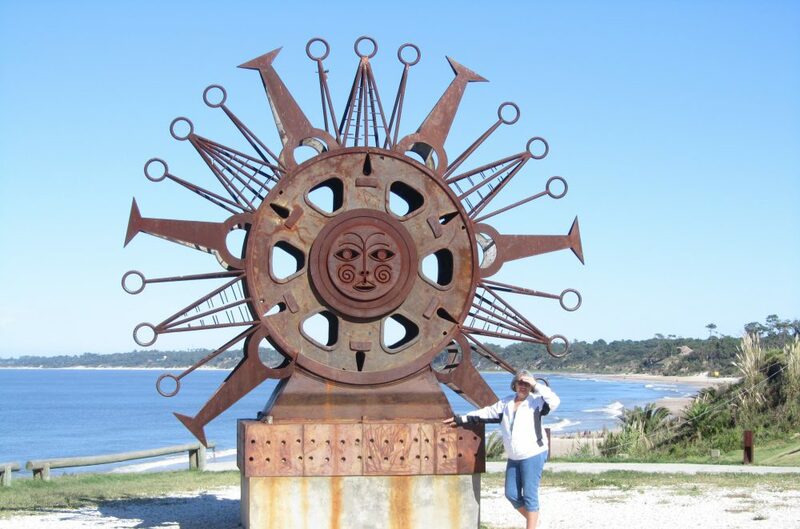 This entry was posted in Beach, Café, Coconut, Drinks, Ecuador, Food, Hotel Oro Verde, Juice, Lifeguards, Manta, Policia National, Uncategorized and tagged Beach living, Ecuador, Expats, Manta, Retired, South American by Nancy Levin. Bookmark the permalink. Hola, Can you offer more cost of living details including how much your apartment/condo costs? I’m currently exploring retiring in Manta. Hi Nancy, can you also email us the info you sent to Domingo. Thanks!